Just How Important Are People? | Troy C. Wagstaff aka CallahanWriter Blog: Topics of interest include Western Historical (1865-1899) Topics. Additionally inspirational Christian and Fibromyalgia interests. Just How Important Are People? To a Christian, people are everything. We are told to love our neighbor as our selves. We are taught that “done it unto one of the least of these my brethren . . .” and so on. But does that mean we need to be around all kinds of people regardless of what their like? I don’t think so. We do need to love all people and pray for our enemy and serve them etc., but that doesn’t mean we have to be friends with them. If “thy right eye offend thee then pluck it out.” That parable is given to teach us that we should cast away from us any unclean or unrighteous thing that could tear us down and hurt us in any way. But it doesn’t teach us to be unkind to those types of people. We still need to love them and serve them as we are able. 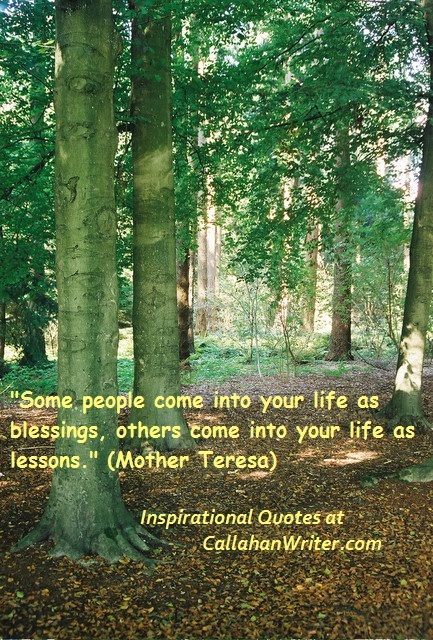 Some people come into our life to bless us and help us become better people and to become our friends or family. Other people bless our lives as a teaching aid. That doesn’t mean we have to pal around with them if they tend to tear us down. So just how important are people to our lives? They are very important to bless our lives with kindness and support while others provide us a chance to serve and grow by our association with them. We need to keep ourselves uplifted and renewed so that we have the spiritual power to help those in need and live as good examples to those around us.